Kartik B. Ariyur leads the Autonomous Systems Laboratory in the School of Mechanical Engineering with collaborations across campus. His group works on several aspects of autonomous operation from sensor design and characterization to multi-vehicle mission planning and health monitoring. His projects range from the use of magnetic maps for cell phone geolocation, and microscopic traffic measurements, to designing equitable water policy with big data. His health monitoring algorithms developed while at working at the Honeywell Labs in Minneapolis currently run on Honeywell APUs in service in commercial aircraft (around 70% of all commercial aircraft); his front end ﬁltering algorithms developed at Qualcomm reside in all CDMA chips in cell-phones. The thresholds and threshold calculation methods he developed for the LAAS (Local Area Augmentation System) will be used for health monitoring of LAAS receivers in all small airports where the system is installed. His PhD work on extremum seeking is used in dozens of industries. Prior to joining Purdue (from 2002—2008), he worked at the Honeywell Labs in Minneapolis on a variety of problems in navigation, control, communication and surveillance. He worked on the tracking of ground vehicles by aerial vehicles and multi-vehicle path planning on the DARPA SEC program. He developed the Laplacian path planner used on the DARPA OAV-II program. He contributed to the winning DARPA HURT planning and control component for Honeywell. He has authored 15 peer reviewed journal papers, 50 conference papers, and 17 US patents. He co-authored the text, Real-time Optimization by Extremum Seeking Control (John Wiley & Sons, 2003), is Associate editor of the International Journal of Adaptive Control and Signal Processing (Wiley), and a member of the IEEE-CSS Conference Editorial Board. He has been and is on the program committees of several important conferences, including, the ACC, IEEE MSC, IEEE ICCVE, HSCC (hybrid systems control and computation). At Purdue (from August 2008), he has developed autonomous navigation using natural fields for indoor, pedestrian, and UAV navigation. A sun sensor for compassing and a more sophisticated sun sensor for geolocation have been developed in his lab. His group has developed scalable methods for multi-UAV autonomous operations for specific surveillance tasks. He lead the Purdue portion of the AFRL’s Adaptive G&C ISHM Integration Requirements study. Award for paper and presentation of local linear prediction and filtering for gas turbine health monitoring. For work on maximizing the comm. link between two UAVs in real time. Some 200 academics from around the US have been selected for the opportunity of direct research funding from private donors with large accounts in major investment banks. Today, large sets of sensor data can be obtained in real-time and stored over long time periods. Most analyses of data are purely statistical and do not consider the dynamics of the processes from which the data is obtained. State estimation—whether it be estimation of the position and orientation of a vehicle, or the health of an engineering system, or the cognitive state of an opponent in a game—from this data requires knowledge of the geometric, physical, and contextual relationships within data. We show how a system of cameras can yield geolocation of the camera platform over time; how cell phone data can be used to crowd-source magnetic map construction; how lidar and camera data can be used to monitor traffic or the health of engineering systems such as CSP (concentrating solar power) or wind turbines; finally, we show how cognitive states and rates can be estimated in a game theoretic context through a toy problem. All of these examples involve estimation with high precision and accuracy from inexpensive sensor elements; and all of them involve ensuring a one-to-one correspondence between sensor data and the physical phenomena being estimated. Quantum leaps of progress occur when the reduction of uncertainty through a combination of measurement, modeling, and control permits the automation of major human tasks. Simple control loops based on pure feedback or simple models sufficed to create these leaps historically--the Watt speed governor that made the steam engine reliable, the American system of checks and balances that made long term individual and business planning possible, the thermostat that reduced indoors climate uncertainty, the autopilot that made flights of more than a mile practical, the simple proportional feedback individual transistors that makes all VLSI chips practical, or even the distributed packet switching feedback in TCP/IP. Over time, this reduction of uncertainty has required ever more complex control loops--which need substantial and precise computation--as in the control of the electric grid to maintain safe and reliable operation, international systems of commerce, finance, and security to keep the world open for trade, phase and delay locked loops combined with power control in cell phones, modern flight control and flight management systems, or modern air traffic control. 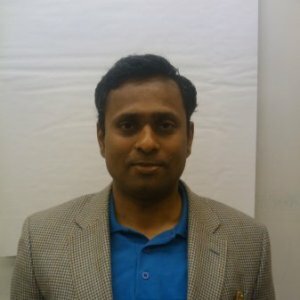 We show with recent examples from our research in sensors, sensing systems, real time optimization of UAV (Unmanned Aerial Vehicle) operations, control adaptation, and physical security systems the mathematical and computational challenges involved in evolving these technologies toward practice through improvement of both safety and performance. The quality of strategic decision making, whether of individuals or groups (businesses, associations, and governments) determines the long term accretion of social, physical or intellectual capital of the decision makers. Thus the cost-benefit ratio produced by decision making determines relative affluence and poverty in terms of various resources available to society, including water, food, shelter, education or a clean environment. Group decision making is rife with conflict between the short term biological self preservation of the decision maker and long term group objectives, as evidenced by the power of vocal or wealthy interest groups, regulatory capture, bureaucratic bloat, and groupthink in intelligence agencies. Our recent research aims at decision making that ensures consistent availability of water in a region over long periods of time. To this end, we are developing tools for decision makers that use both hydrological and social Big Data, account for the feedback loops between the policy making process and human behavior, and perform optimization with the constraints of equity, social stability, and conservation of local flora and fauna. Our work on water policy can be extended to food and agricultural policy, to policy on any limited resource such as minerals or hydrocarbons, and eventually perhaps to the more difficult problems of healthcare, education, and government itself. The course covers the Theory and application of System Identification methods. Connecting the world of mathematical models to experimental data—least squares methods and difference equation models. Background in probability and analysis: algebra of random variables, law of large numbers, central limit theorem. The ARMA family of models; mapping physics models to generalized ARMAX forms (linear and nonlinear); mapping the parameter estimation problem to the least squares problem (batch and recursive), and numerical solution techniques. Model (in)validation, optimal identification criteria, experiment design and data preprocessing considerations. Issues of signal to noise ratio, persistency of excitation, sampling frequency, data accuracy and data sizes. Lead-ins to general inverse problems, information theory and games, and fundamental physical modeling connecting microscopic laws to macroscopic behavior. The structure of instruction and evaluation permits rigorous coverage of a broad range of topics. Evaluation is entirely online with 50% in quizzes and 50% in individual course project updates. This course is intended to build understanding in: sample theory, z-transform, and other analysis tools that are used to analyze and design digital control systems; Analysis: state space and input/output representation, modeling and analysis of digital control systems; Synthesis: emulation, I/O mapping design, state feedback control, state observer design, observer based compensator design, LQ optimal control, Kalman filtering, LQG design; Implementation: quantization, sampling and noise; of linear time-invariant (LTI) control system design. It is intended to bridge between theory and application by bringing implementation issues into the consideration of controller design. The structure of the course enables coverage of most every topic in control design--linear, nonlinear, continuous, and discrete. LMI methods are covered toward the end. Evaluation is entirely online with 50% in quizzes and 50% in individual course project updates. Static and dynamic calibration of sensors, system response and identification, statistics, error propagation, fourier series, modulation and demodulation, standard sensing architectures, use of op amps, and noise characterization.